A mountain running essential, the Storm Racer Jacket is the lightest waterproof/breathable jacket we’ve ever made: a UTMB-inspired and approved 3-layer, featherlight, pared-down 100% nylon ripstop shell, with a supple feel and a tricot backer that remains comfortable next to skin at mile 100. 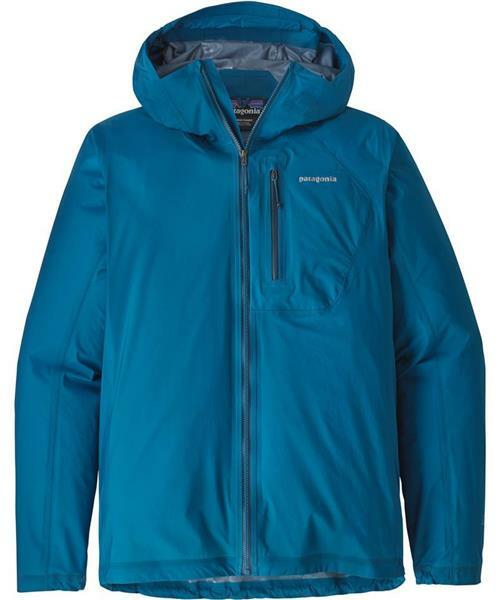 The jacket features minimal-adjust half-elastic cuffs (low bulk, high comfort), a close-fitting single-pull hood that rolls away and a self-stuffing chest pocket (with carabiner clip-in loop). With reflective logos at left chest and back of neck.